Although we’re only a few weeks into 2018, the year has certainly delivered more than its fair share of entertainment news stories. This month, we have a new celeb baby, a veteran comedian celebrates another year, and a whole batch of new awards shows. Without further ado, here are the top stories from Hollywood in January 2018! This month, a little more light was brought into the Wests’ lives when a surrogate gave birth to Kim Kardashian West and Kanye West’s third child. The third West child was born on January 15, 2018 weighing 7 pounds, 6 ounces. 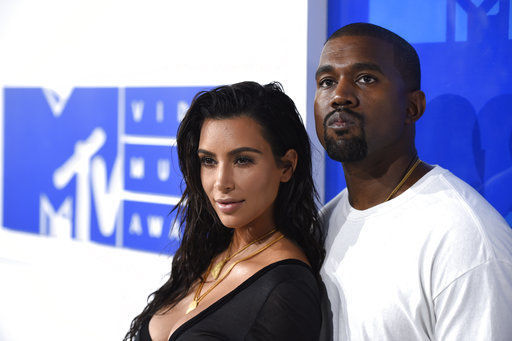 Kardashian West was the one to announce the name of their newest bundle of joy on Twitter, simply posting “Chicago West.” with a link to the reality star’s blog. Congratulations to the whole family! Comedian and TV host Ellen DeGeneres. Source: Michael Rozman / Warner Bros.
Everyone’s favorite daytime talkshow host celebrated the big 6-0 this month, and had a lot of help celebrating. Both actor Dax Shepherd and singer Justin Timberlake serenaded the comic in videos played on her show on her big day! Special appearances were also made by Friends actress Jennifer Aniston, and First Lady Michelle Obama. 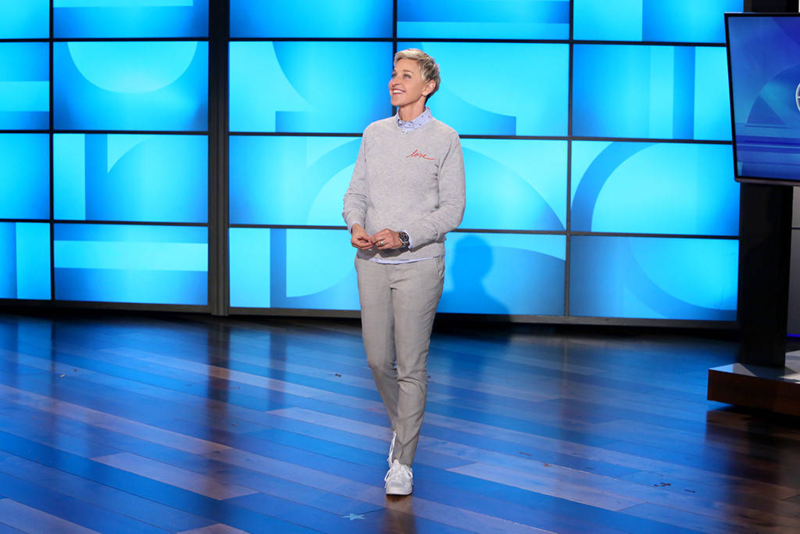 The birthday bash episodes of The Ellen DeGeneres aires on February 1st and 2nd. Check your local listings! The 2018 Grammy Awards landed in New York City this month, and brought tons of star power with it. From Beyonce, Jay Z and Blue Ivy, to U2 and Elton John, it seems nearly everyone was in town for music’s biggest night. The show was a smash from start to finish with a politically-fueled performance from Kendrick Lamar kicking the night off. 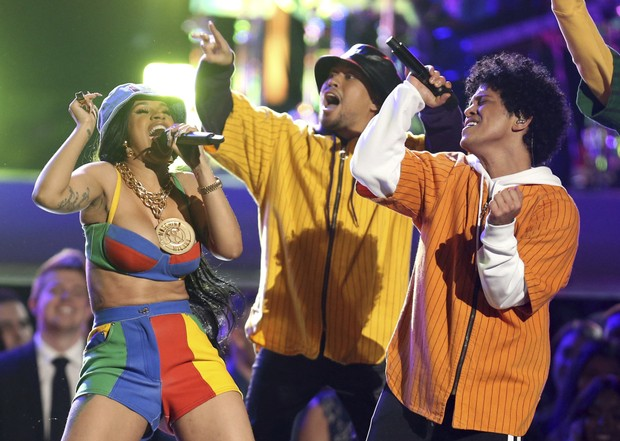 Other notable performers include P!nk, Bruno Mars with Cardi B, and a star-studded performance by Kesha featuring Cyndi Lauper, Bebe Rexha, Camila Cabello, Julia Michaels, and Andra Day. The night’s biggest winner was hands down Bruno Mars winning Song of the Year, Record of the Year, and Album of the Year. The 2018 Oscar nominations were also announced this month, with many fan favorites making the cut. Among the Best Picture nominees are Get Out, Dunkirk, Darkest Hour, Lady Bird, and many more. The acting categories saw popular Oscar nominees Meryl Streep for Best Actress in The Post, and Daniel Day-Lewis for Phantom Thread. 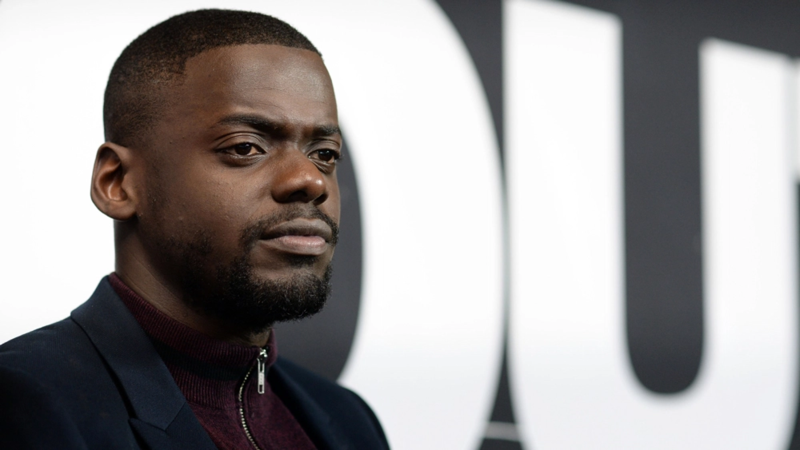 This year also sees newcomers Timothée Chalamet for Call Me By Your Name, and Daniel Kaluuya for Get Out in the Best Lead Actor category. The 90th Annual Academy Awards airs March 4th, 2018 on ABC. That does it for 2018’s first Entertainment Roundup! Be sure to check back at the end of each month to see the biggest stories from Hollywood! For more stories like this, follow us on Twitter and “like” us on Facebook.